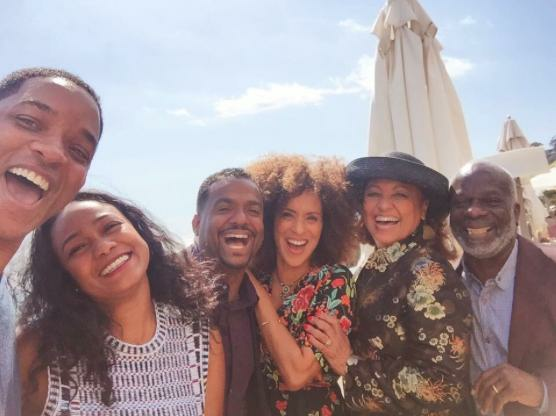 The Internet was hit with a wave of nostalgia yesterday after the cast of The Fresh Prince Of Bel Air reunited for the ultimate pair of throwback selfies. 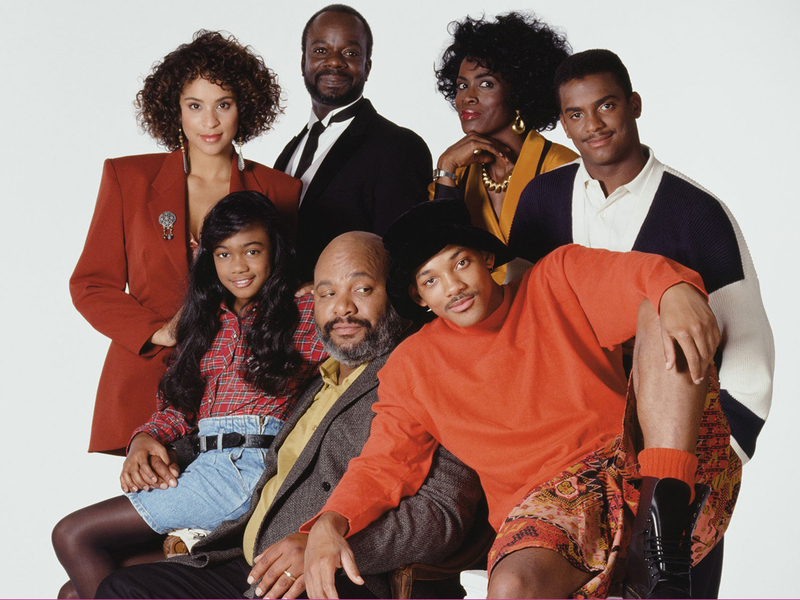 The show's protagonist, and now world famous actor, Will Smith stood side by side with fellow cast mates Tatyana Ali (Ashley), Karyn Parsons (Hilary), Daphne Maxwell Reid (Vivian) and Joseph Marcell (Geoffrey) - James Avery, who played Uncle Phil, sadly passed away in 2013. However, many eagle-eyed fans were quick to point out that there were in fact two actresses who played Aunt Viv during the show's six season run. Janet Hubert-Whitten portrayed Will's auntie in the first three seasons, before Daphne Maxwell Reid took up the role in the fourth, fifth and sixth. So, why the change? And why was she missing from the reunion? According to various reports, Hubert has a long-standing feud with Will Smith, with her attitude leading to the violation and, ultimately, termination of her contract after the third season. The actress fell pregnant in real life in 1992, which was used to create a plot line whereby Nicki Banks, Viv's son and Will's baby cousin, was brought into the show. However, Smith claimed the feud stretched far further back than this in a 1993 interview. "I can say straight up that Janet Hubert wanted the show to be 'The Aunt Viv of Bel Air Show' because I know she is going to dog me in the press," Smith told an Atlanta radio station. "She has basically gone from a quarter of a million dollars a year to nothing. She's mad now but she's been mad all along. She said once, 'I've been in the business for 10 years and this snotty-nosed punk comes along and gets a show.'" "No matter what, to her I'm just the Antichrist." "Basically, at the end of the day, the b*tch was crazy. She went nuts!" "There were days when we were all on the set and she would literally go off on people and it got to a point by the time the second season came around where we we're like, 'This is unacceptable'. 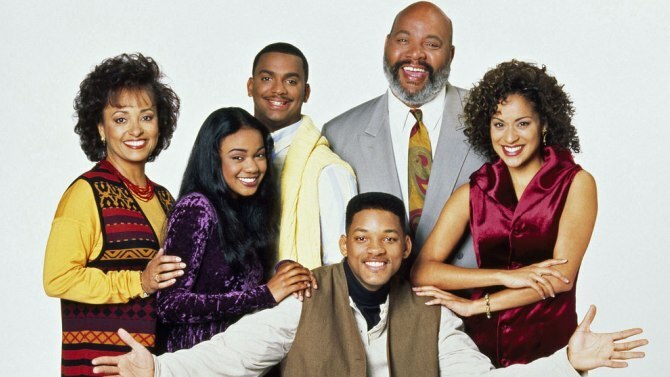 "We felt like when we were doing The Fresh Prince of Bel-Air, that we were a family...She, at that point, ruined that, and she made it very difficult for us to work, and unfortunately she was then fired. They brought in Daphne Maxwell-Reid, who we absolutely loved, and we moved on. Oh well." Maxwell-Reid, who was pictured above at the recent reunion, took over from the fourth season of the show until it's final episode in 1996. Last year, Hubert opened up about her 20-year beef with Smith, arguing that she was "never difficult on set". "Janet Hubert was so professional, it wasn't even funny," said the actress. "I think Will simply needed to win, and I think sometimes when you get caught up in a lie and those things never happened." "I think he was young and he was inexperienced," she said of Smith at the time. "I went back to them in 2009 I and said, 'Please, I need you to clear my name'," she said, after Smith and Ribeiro had made their comments. "I was waiting in my heart, thinking somebody would come to me one day and help me, but they didn't." "Because I had been trained as a young woman, you always have your dignity ... but I realised that redemption was not gonna come unless I did it myself." However, the actress had previously quashed all rumours of a potential cast reunion after branding Will Smith an "a**hole".